Welcome to the second edition of our all-inclusive list of what's happening down in Miami during Art Basel. 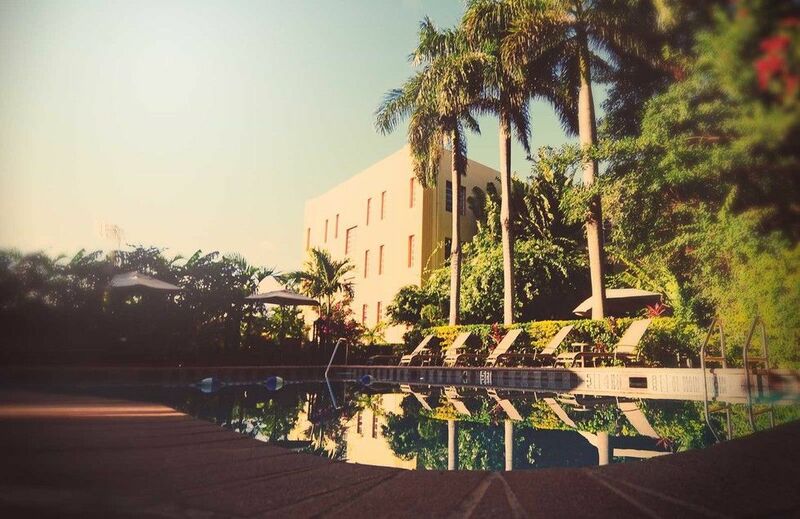 Did you book your plane and hotel? Better get moving, as rooms are going fast. We just checked the high and low end for rooms and discovered that 8-bed coed dorm rooms are still available on December 5th at the new Roman & Williams-designed Freehand Hotel (pictured above, 2727 Indian Creek Drive, Miami Beach) for $43 a night per bed; or why not book an oceanfront suite at the St. Regis (9703 Collins Avenue, Miami Beach) for $3,204 a night, also available on the 5th. No big deal. Can you handle one more fair between December 5th and 9th? Fifty galleries are expected to participate in a fair called Untitled that's being curated by Omar Lopez-Chahoud for Florida company Art Fairs Unlimited. 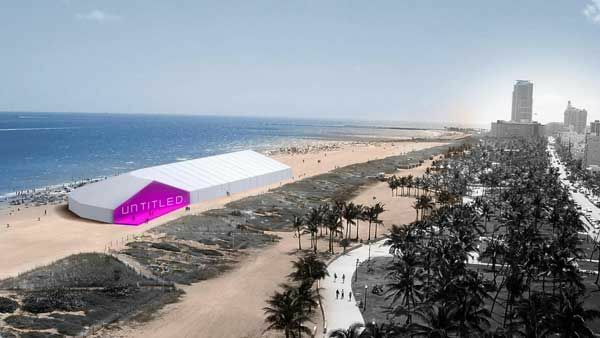 Supposedly it's "invite only" and will be set up in a tent on the beach designed by former Miami Art Museum director Terence Riley. The new fair has already stirred-up some controversy with the already established NADA fair. The Art Newspaper claims that NADA is pressuring their exhibitors to not show at Untitled. Art Miami returns to the Wynwood Arts District for the 23rd edition of their annual fair, running from December 4th to 9th. 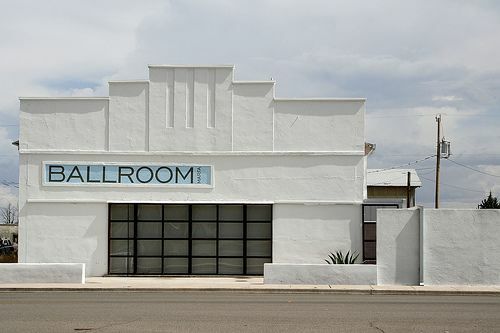 This year they're expecting over 125 galleries to participate and, for the first time, they've added a new "fair-within-a-fair" with an additional 65 galleries housed in a special area called CONTEXT (). They are bringing in four, six-ton walls that feature works by UK artist Banksy and, though they aren't for sale, they offer a good opportunity to see the artist's work in a unique environment. 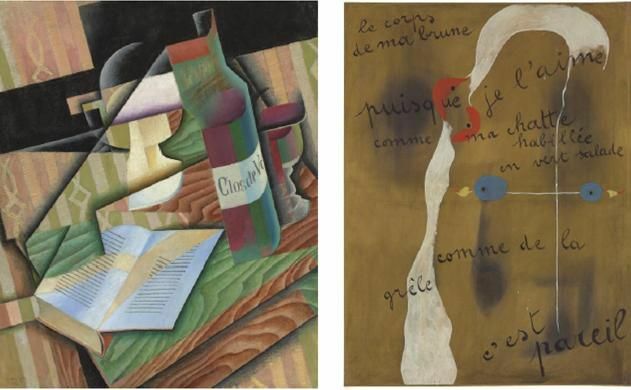 Christie's will host their 3rd annual exhibition during Basel/Miami with highlights from their London auction, "The Art of the Surreal." It will be up from December 5 to 7, 10 a.m.-5 p.m. daily, at the JW Marriott Marquis (255 Biscayne Boulevard Way, Miami). It's free and open to the public. Ron English at the Wynwood Walls. Photo via SuperRadNow. 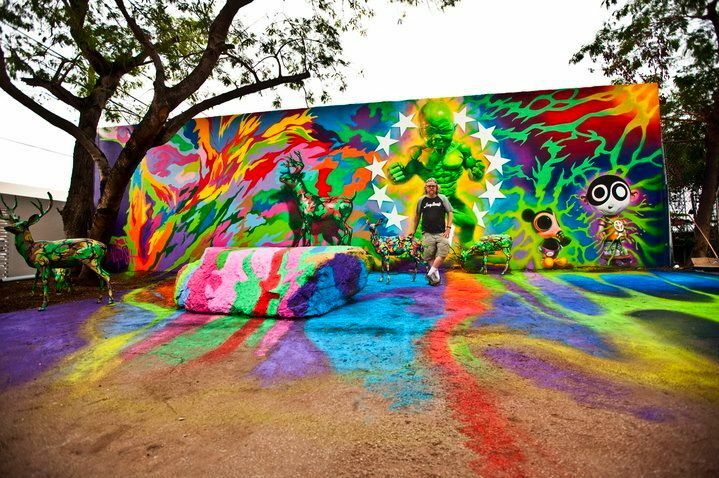 Miami's Wynwood Arts District is the sixth "Most Stylish Neighborhood" in the world, according to Complex magazine. And it's #19 on this year's Forbes magazine list of "America's Hippest Hipster Neighborhoods." See you at the Wynwood Walls artists murals in the neighborhood's warehouse district. Chromatics. Photo via The Phoenix. Chromatics are playing a special Art Basel concert presented by Miami's premiere indie record store, Sweat Records on December 7. The Portland, Oregon, band just performed in Paris at the Chanel Spring/Summer 2013 fashion show. You can see that epic show HERE. Prince Rama is opening and the show starts at 8 p.m. in downtown Miami's Gusman Center (174 E. Flagler St., Miami). Tickets are HERE. Ballroom Marfa -- the Texas non-profit arts and culture organization -- hosts an "invite only" VIP beach party in the cabanas at the new SLS Hotel South Beach (1701 Collins Avenue, Miami Beach) on Wednesday, December 5. For more, check out Part 1 of our ongoing Art Basel Miami guide here.